We’ve talked a bit about what canvas is and why it’s the best fit for almost any painting project, but today we’re going to deal with another issue dear to our hearts here at the shop: how to select a spectacular canvas from a poorly made facsimile meant to entice you with its cheap price. While the discounted cost may be tempting, these bargain surfaces usually have huge drawbacks that many artists may not be aware of, and they’ll often come back to bite you in the end. Not all canvases are created equal. It might be easy to recognize a cheap panel canvas from a stretched one, but not all stretched canvases are created equal. When you see a huge price decrease from one canvas to the next, it usually means something important is different, even if the two look perfectly similar. There are a few things you should check when comparing canvases. 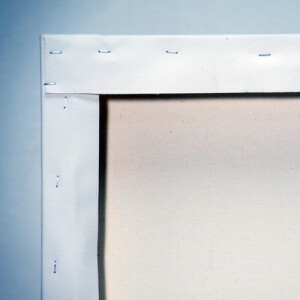 First, check the actual type of material used for the canvas. Cotton canvas can be of high quality at times, but overall is a cheaper and less exquisite material than linen or new materials such as polyester. The packaging for the canvas should contain this information, but if not, a quick jaunt to the net will likely show you what you need to know. The second issue to check is what’s actually keeping the canvas stretched. 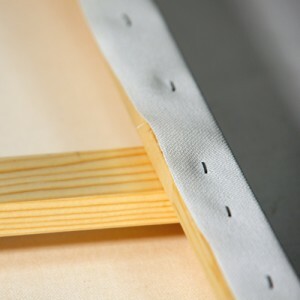 Though most canvases with wood frames use staples, there are still some that use less quality materials, such as glue. Simply flip the canvas over to check this on your potential surfaces. Staples on the back are a good sign that you're dealing with a high-quality canvas. Thirdly, the canvas can come prepared in a variety of ways, or not at all. Depending on your particular project, you probably want a canvas that has at least some priming, though that’s not always the case. 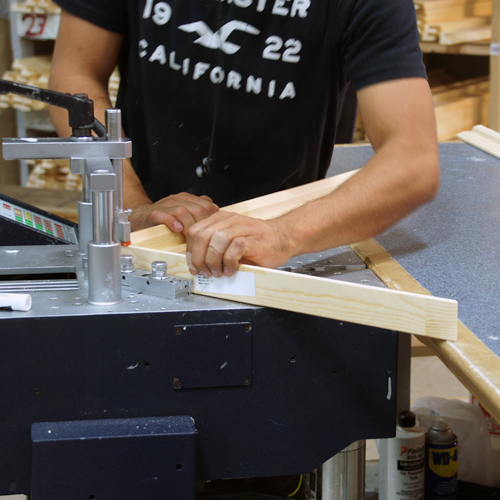 Your preference will depend on your project, so know what you’re looking for ahead of time. This info may be on the packaging, but again, if not, go to the web. The fourth issue is of particular importance: who or what stretched this canvas? Though machine-stretched units are getting better all the time, a canvas hand stretched by an expert is still the top dog in the world of surfaces. This is where the web is handy, as most hand-stretching companies are proud of their products and will tell you outright (like Canvas Lot!). Canvases hand-crafted by experts are always the best option. Finally, some canvas brands are simply better than others. Two canvases from different brands might have the same technical qualifications, but may be of entirely different quality. Here is where the web, yet again, comes in handy. Read some reviews of each brand your considering online, and you’ll quickly find the one for you. It’s a bit tricky, but once you’ve spent a little time researching and testing out canvases of different brands and types for yourself, you’ll learn which you prefer pretty quickly. Many artists, especially those just starting out, reach for the cheap option automatically, but its a good idea to know what you’re getting into with each brand, especially when trying to create something that will last for a good long while. That’s why when we tell our customers that our canvases are the best, we really mean it. Try out a few of our expertly crafted products against some store bought bargains, and we think you’ll find for yourself that quality just isn’t replaceable. With our highly-efficient facilities, we’re able to bring you canvases of stunning excellence at a price normally reserved for the discount bin, and we’re only getting better at the process. So, there’s really no reason to grab those cheap, knock-offs; go with the pros, and get the best canvases around.